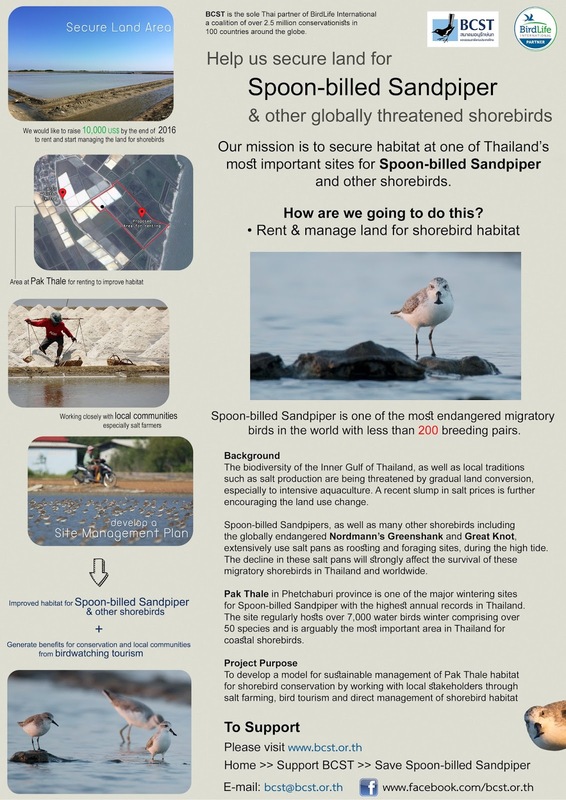 Wader Quest: Emergency appeal to save habitat for the Spoon-billed Sandpiper in Thailand. Emergency appeal to save habitat for the Spoon-billed Sandpiper in Thailand. 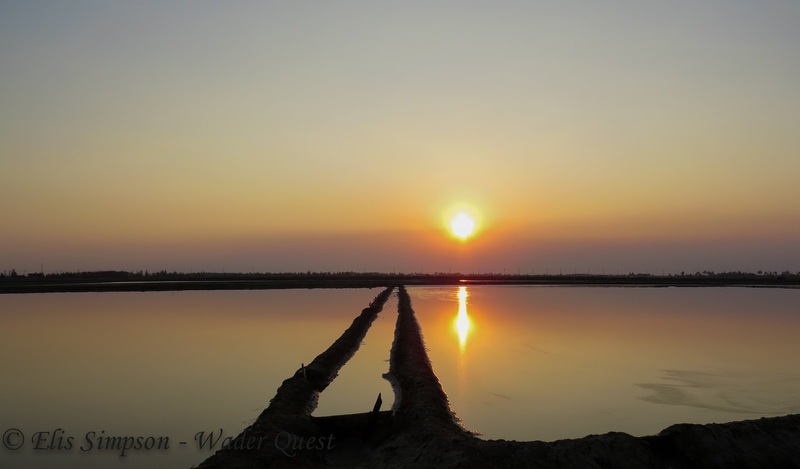 Recently we reported the depressing news that part of the Khok Kham salt pans were being turned into a solar farm. Many people contacted us about this and many tweets, posts, messages and emails suggested that surely it couldn't be that difficult to raise enough money from the world's birding community to buy some land to maintain habitat for the Spoon-billed Sandpipers in Thailand; especially as Nordmann's Greenshanks and many less endangered waders and other birds that use the pans, will also benefit from this project. Spurred on by this outpouring of concern we contacted our friends in Thailand, the RSPB and others to see if there was some way of making a concerted joint effort in this respect. Fortunately we were not alone in thinking this was a worthy cause and the Bird Conservation Society of Thailand (BCST) proposed a plan to purchase some salt pans in Pak Thale. To buy the whole lot would cost millions, but the modest proposal that they made is certainly a start and we agreed to help them in the task of raising sufficient funds to make the plan happen. So, if you are concerned about the fate of the Spoonies in Thailand, the least complicated place in the world to see them at the moment, and wish to help the cause, do come and see us at Bird Fair marquee 7 stand 67 this weekend and help us make a start. Today we received donations totalling well over £150.00 and Elis and I have decided that any revenue that we make from the Eury the Spoon-billed Sandpiper book will be directed towards this fund. In addition all donations received for the time being will also be channelled into this fund with Friend of Wader Quest and Sponsorship continuing to build funds for our other projects. Please come and support this important appeal but making a donation, however modest, every penny counts. Remember 100% of your donation will go towards the securing of this habitat with nothing being used for any other purpose. If you don't want to make a straight donation, then why not support the spoonies by buying a copy of the new Eury book which was launched this weekend at Bird Fair.